On November 10, 2004, CJA filed suit against a case against a high-ranking Somali commander, Colonel Yusuf Abdi Ali (nicknamed “Tokeh” or “Tukeh”) for torture, extrajudicial killing, war crimes, and crimes against humanity. The suit aims to hold Tukeh responsible for direct acts of human rights violations as well as for abuse committed by soldiers under his command in northern Somalia in the 1980s. CJA represents two members of the Isaaq clan who were subjected to brutal torture and abuse by Tukeh and his troops. Due to concerns for their safety, both plaintiffs have elected to proceed anonymously as Jane Doe and John Doe. The court administratively closed the case against Col. Tukeh in 2007, pending determination of the immunity issues raised by Yousuf v. Samantar. The case was reopened in October 2011, only to be stayed again pending the Supreme Court’s decision in Kiobel v. Royal Dutch Petroleum. The Siad Barre regime ruled Somalia from 1969 until it finally collapsed in 1991. Like all military dictatorships, the Siad Barre regime was intent on maintaining its power and, over the years, it adopted increasingly harsh measures to do so. In the years leading up to its eventual collapse, the Somali armed forces committed horrific atrocities – mass detentions of political prisoners, torture, and murder. 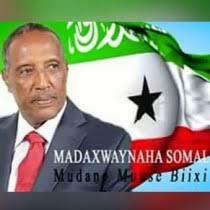 They did so with particular ruthlessness in the northwestern region of Somalia, known today as Somaliland, and they targeted the majority clan in that region, the Isaaq. In response to this brutality, a pro-democracy resistance movement emerged in the 1980s, calling itself the Somali National Movement, or the SNM. When the SNM advanced, soldiers of the Somali armed forces responded with targeted reprisals against ordinary people of Isaaq background. Government violence against Isaaq civilians escalated throughout the 1980s, reaching its peak in June 1988 when the Somali armed forces systematically executed thousands of innocent Isaaq people and buried them in mass graves in Hargeisa, the region’s largest city. Doe v. Ali was brought before the U.S. District Court for the Eastern District Court of Virginia on November 10, 2004. The complaint accuses Col. Tukeh of command responsibility and personal responsibility for crimes against humanity; torture; cruel, inhuman and degrading treatment; attempted extrajudicial killing; arbitrary detention; and war crimes. This civil action was brought under the Alien Tort Statute (ATS) and the Torture Victim Protection Act (TVPA). The case was filed jointly by CJA and the law firm of Cooley Godward LLP, working on a pro bono basis. The case was referred by the District Court judge to the U.S. State Department for its input on immunities issues where it remained stalled for nearly three years. The court administratively closed the case against Col. Tukeh in 2007, pending determination of the immunity issues raised by Yousuf v. Samantar. Attorneys from CJA and co-counsel Akin Gump Strauss Hauer & Feld, LLP successfully moved to reopen the case in October 2011. However, the case has been delayed again, this time pending the determination of the Supreme Court in Kiobel v. Royal Dutch Petroleum, regarding the extraterritorial reach of the Alien Tort Statute.